With more than 2,000 years of existence, every stone in the „eternal city“ Rome has a story behind it. Today it’s one of the visited destinations in Europe and a place where you can travel back to Ancient Rome, the Medieval Ages, the Renaissance, etc. What is more exciting about Rome are the piazzas which are a masterpiece itself and the centre of the local cultural life. 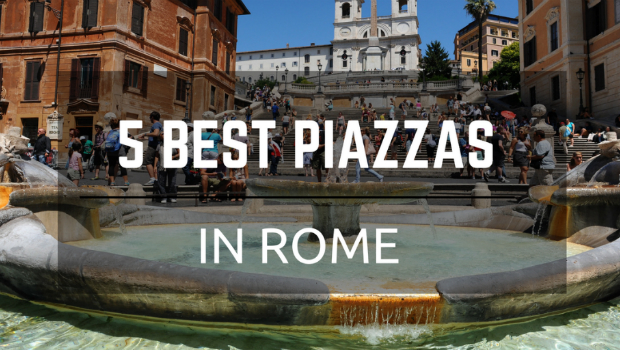 We compiled a list of the 5 best piazzas in Rome you must visit and how to reach them by public transport or a private Rome taxi. Trastevere is a Rome neighbourhood with true Italian charm. It’s one of the most popular areas which captures the heart of the tourists instantly. The Santa Maria piazza is a true example of a citizen’s square. Mostly, in this area, you can meet young, international crowds. This is the place where you come to hang out with friends and have a drink. The imposing church Santa Maria is the dominating building on this piazza. The church is exquisitely decorated with 12th-century mosaics by Pietro Cavalini. There are, also, 22 Corinthian and Ionic columns. Another attraction you can find at the centre of this square is the fountain created by Carlo Fontana. The fountain was built in 1692 and is one of the oldest fountains in Rome, restored many times throughout the years. At night, this is the most popular place for hangout out with friends. If you’re arriving at Fiumicino airport, you can take a train and take off at Stazione Trastevere. A Rome taxi will take you to your hotel. 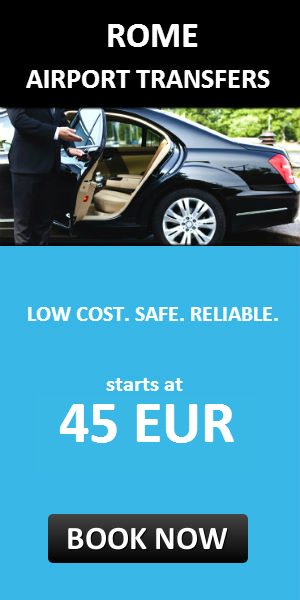 You can also book a private Rome taxi before your arrival. During the Middle Ages, Campo de’Fiori was a green landscape and a site for many public executions. The famous philosopher Giordano Bruno was among them as he was burned alive at a stake in 1600. At that exact spot, today there is a bronze statue in his honour. In the 21st century, this square lives 24/7. From early morning till 3 pm, Piazza Campo de’Fiori hosts the most beautiful market for fruits and vegetables in Rome. The colourful stalls are full of fresh vegetables, fruit, meat, fish and much more. At night, this square turns into a cosmopolitan and vibrant place which welcomes tourists and young people who meet here for a drink. The surrounding area has also a huge offer of restaurants, bars, and cinemas. There is no train station near the piazza, so if you arrive at Fiumicino airport, it’s best to take off in Trastevere and take the tram number 8 or a private Rome taxi directly to the hotel. Piazza Venezia is an ideal link for Via dei Fori Imperiali and Via del Corso, thus is considered the hub of city traffic. This square is dominated by “Altare della Patria” (Altar of the Fatherland), the grandiose building dedicated to Victor Emmanuel II, the first king of unified Italy. At its foot lies the Tomb of the Unknown Soldier, guarded by two soldiers. This monument serves to honour and to remember every unidentified soldier who lost his life in World War I. On the western side of the square, you will find Palazzio Venezia, the building after which the piazza was named. For a short period, this was a residential palace of the Venetian Pope Paul II. During fascism period, the palace used to be an official seat for the Head of Government. Benito Mussolini used to give his speeches on the balcony. Piazza Venezia is only 15-minutes walk from Termini Station. If you have luggage you can take a bus, as there are a few lines running from Termini to Piazza Venezia. Alternatively, you can book a private Rome taxi and get directly from Fiumicino or Ciampino airport to Piazza Venezia. Just below the famous Spanish steps lies the Piazza di Spagna, after which this staircase was named. You will recognize this beautiful square as one of the most famous Rome images. It’s very popular among tourists, as well as, Romans and a „must-visit“ spot for socializing and relaxing. In the centre of Piazza di Spagna, you will find the fountain Barcaccia designed by Pietro Bernini in the 17th century. The fountain was built to remember the flood in 1598 caused by the Tiber river. Besides art and history, this square is a great destination for shopping. All major designer labels have their own stores right on Piazza di Spagna. Piazza di Spagna Metro Station is on the A metro line and the major stop for some of the Rome attractions. You can take the train from Fiumicino airport to Termini Station and change to A metro line. A private Rome taxi can be booked online and the provider will arrange a direct transfer from the Rome airport to your hotel. Although technically, Piazza San Pietro is in the Vatican, we can’t make this list without this beautiful square in the centre of the Catholic world. Whether you’re a Catholic or not, this place gives a special feeling of spirituality and unity. It embraces all nations and religions, thus making it an unforgettable experience. The square is a true architectural gem and was designed by Bernini. It is right in front of the Basilica of St. Peter. Every Sunday at noon, large crowds of faithful people gather at the square to receive the Pope’s blessing. The nearest metro station to Piazza San Pietro is Ottaviano. You can take the train at Fiumicino airport and change to the A metro line at Termini Station. Also, there a few bus lines operating from the airport to the Vatican. For direct transfer and comfortable journey, you can book a private Rome taxi online.